If there’s no time in your busy schedule for a trip to the spa, why not bring the spa to you? 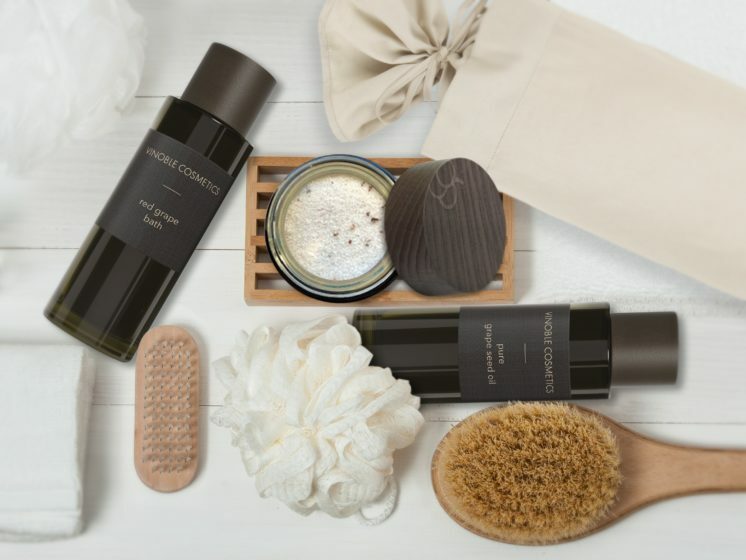 Treat yourself to a little luxury from time to time. Because regular “me time” makes it easier to cope with stressful times. Lay in the bath, completely switch off, and just relax for a while. You’ve earned it, this complete pampering program for the body and soul. Leave stress and the winter cold locked outside and immerse yourself in a world of relaxation with our Vinoble pampering program. First pamper your skin with the cleansing salt & grape seed scrub. Mix 2-4 tablespoons of the salt and grape seed mixture with a sufficient amount of pure grape seed oil until the scrub has reached the desired consistency. Then massage the scrub into your wet skin using gentle movements. 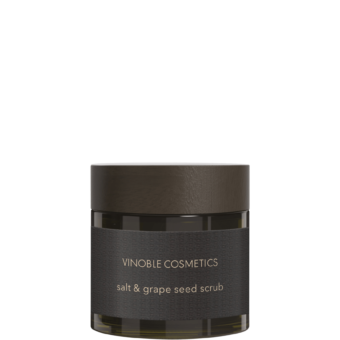 The sea salt has a stimulating effect, improves the skin’s circulation, and gently removes dead skin cells, while the grape seed oil contains essential fatty acids and provides intensive moisture. Now lay in the bath – the scrub will stay on the skin throughout. 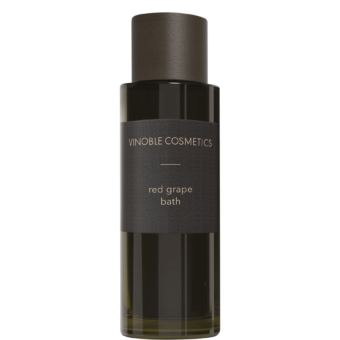 For a full bath, add 3-5 large tablespoons of red grape bath to the bath water. Add scented candles to create a nice, relaxing atmosphere. Lay in the bath, close your eyes, and enjoy. The fresh and fruity scent of red grapes radiates contentment and joy and happiness. And the aloe vera in the red grape bath moisturizes your skin and keeps it supple. Antioxidants from the grape protect the skin. Close your eyes and relax for 20 minutes in a warm bath. After getting out, dry yourself with a towel, but only lightly to ensure that the valuable oil remains on the skin. You don’t have to use a body cream, as the skin will already be well nourished and silky smooth from the rich oil. Our tip: It’s best to use a dark bath towel, as the grape seed oil can permanently discolor white textiles. For even deeper relaxation, treat yourself to some more peace and quiet afterwards – ideally with a heated neck roll and a good book. Round off your pampering session with a nice cup of tea – the hot drink is known for its beneficial properties and will help you relax and switch off. Enjoy relaxing – you’ve earned it!